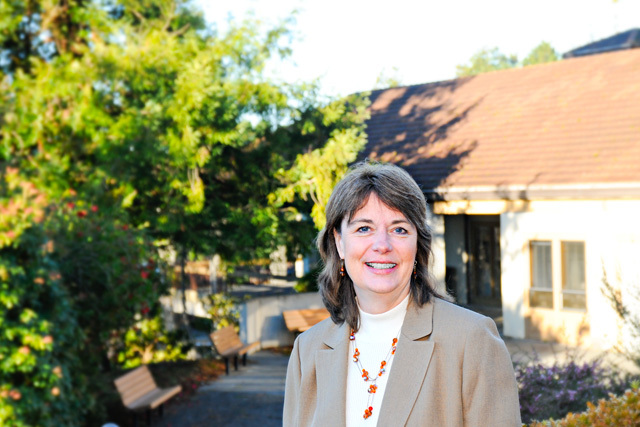 Humboldt State University has named Dr. Peg Blake its new Vice President for Enrollment Management and Student Affairs. Today marks her first official day on campus. Dr. Peg Blake has been named Humboldt State University’s new Vice President for Enrollment Management and Student Affairs. Blake was most recently the Dean of Enrollment Services and Registrar at Southern Oregon University in Ashland. Prior to her work there, she spent eight years as Vice President for Student Affairs at Boise State University and many years in leadership positions at University of Nebraska-Lincoln. Blake holds a Ph.D. in Post-Secondary Education Administration from University of Nebraska-Lincoln, as well as an MBA with a focus on marketing and a bachelor’s degree in Anthropology from the same institution. In addition to experience in many different areas of Student Affairs, Blake has served as President of the National Association of Student Personnel Administrators. The professional organization has more than 10,000 members representing 1,700 colleges and universities. Blake’s appointment follows a national search that began early in the Fall semester. The position had been filled on an interim basis by Edward “Buzz” Webb, who came out of retirement to help with the transition after Steve Butler retired last summer. Blake’s husband, Larry, is the Director of Campus Planning and Sustainability at SOU. Her daughter, Lauren, is a high school freshman and her son, Colin, attends Oregon State University.